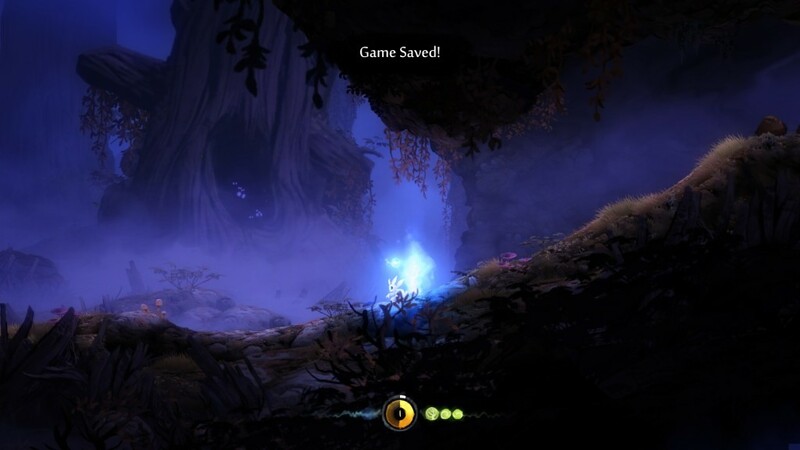 Ori and the Blind Forest – What could be improved? 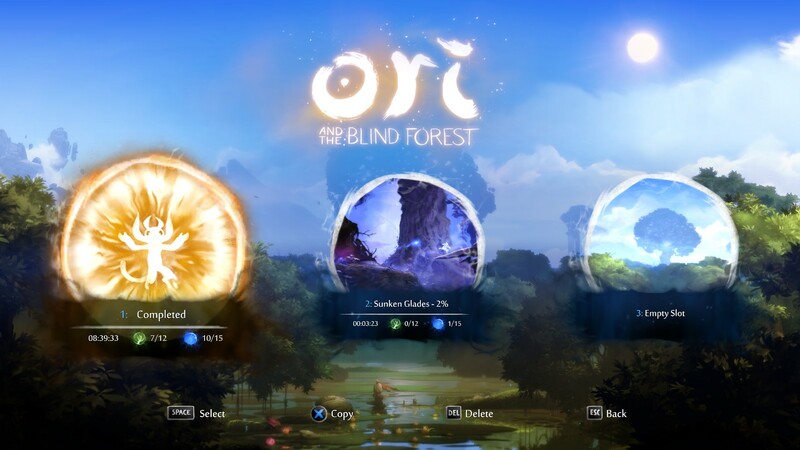 As some of you have already read, Ori and the Blind Forest appears to have had a succesfull launch, and that a common agreement have been reached among reviewers that the game is pretty neat. I would also like to contribute to that pile and state that the game got a great atmosphere with slick animations and sound effects to keep one interested and entertained even though you are on your 400-or-something attempt. 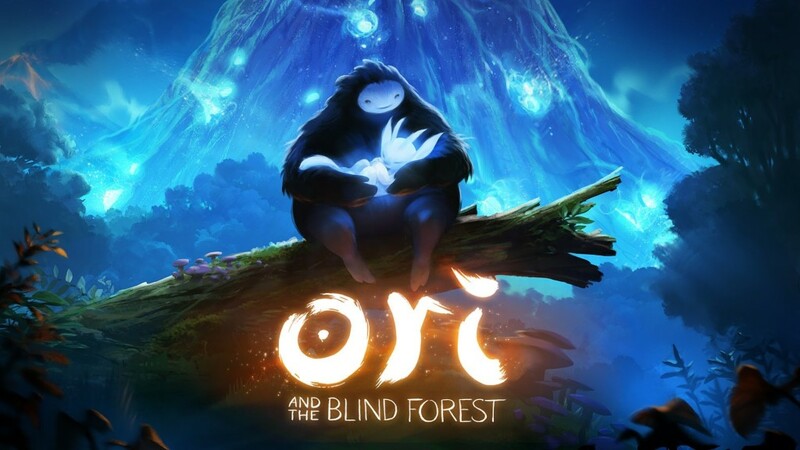 So in order to stand a bit out from the crowd of reviews who praise Ori and The Blind Forest, I’ll like to focus more on the improvements there could be done to the game. I mean, no game is fully perfect and there always have to be that one party killer. In order to save the game, you use energy orbs, to open up a soullink where you can save your game. What first came to mind was the the handling of saved game. There are no checkpoint system or autosave feature. Instead, you have a resource called energy orbs. You spend an energy orb to create a soullink, where you can save your game and use ability points. This opens up for potential interesting situations. If you finally pass a difficult passage, but you are out of energy orbs, you are cautious about your next move. Until you find an orb to open a soullink, a stupid mistake or unexpected event can send you all the way back to before the difficult passage, and you will have to try once more. I find this interesting as this causes you to be aware and prepared even after completing an obstacle. You are not safe, before you have opened a soullink. Where this system is flawed occurs when you simply forget to save after being done with numerous redundant tasks. If you have traversed the entire map, simply just to explore a few hidden areas or you had to cross an already explored part of the map in order to reach your next objective, but on your way, you make a stupid mistake, you trip into a pool of lava or get your face punched in by an enemy, it’s all the way back again. There are no mercy. Some of you will properly say, that is a well-deserved punishment. That may be true, but having to remember to manually save hits my level of immersion. I rather spend my attention on learning the game mechanics and absorbing the environment, than having to save my game every 2 minute. Related to the game’s environment and light setup. I am no longer fifteen years old, and my spatial orientation is properly no longer the same level as when I played excessive amounts of Counter-Strike back in the days, but there is something about the lighting effects which disorientate me. I believe it is the bloom effects including similar color palettes between the particle effects and environment that causes me to lose orientation. With many characters and events existing on the screen at the same time all made up of blurry contours, it becomes difficult to distinguish each element from one another. The lighting effects could at times become very confusing to watch. This screenshot were a case which I setup, but in that image I am currently fighting an enemy. In terms of character progression, there were two systems. While progressing the story, the level designers forced you to visit a range of spirit tree’s whose light you absorbed and learned new moves. These moves were mandatory to learn and use in order to continue the story, but they also gave you new opportunities to overcome enemies. An additional system for character progression were implemented that revolved around a common xp / level / talent tree approach. Kill enemies or contains, earn xp, get a new level, earn resource to spend in the talent tree. 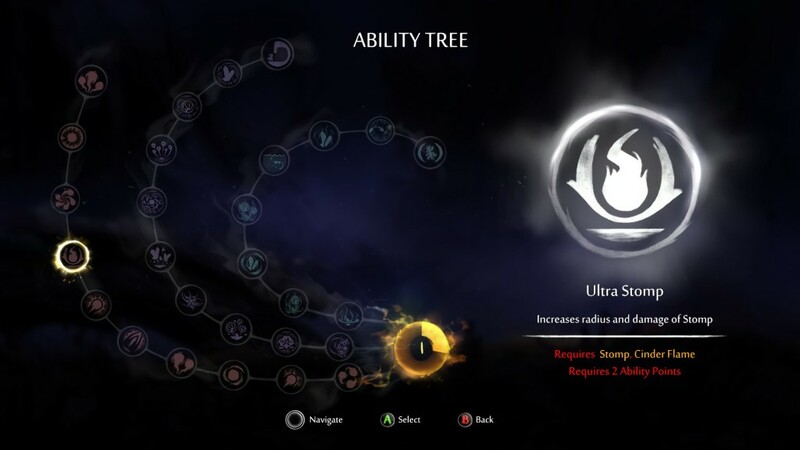 Three paths in the tree were available, where each path consist of a range of abilities which could be unlocked in a linear order requiring more ability points the more you unlocked. The ability tree allows for three paths to go down through. You were limited how far you could get on a given path before meeting a prerequisite that required you to complete more of the story. Additionally, these powers were not very interesting, as most of them simply were attribute increases such as increased damage, more life gained when opening a soullink. My problem with this ability tree is that it felt tagged on. First, the ability tree didn’t allow for personal customization to fit one personal gaming style. Because many of the abilities had a prerequisite that you had to learn a certain move, by one of the spirit trees, you were limited in how far down a path you could go before being blocked. Second, the abilities and benefits you gained in the ability tree were completely shadowed by the moves you learned from the spirit trees. In the end, I felt it to be a redundant task to go in and spend my available ability points. I didn’t really care about my abilities and I didn’t really feel I had a choice in what to select. In the end, I felt my level of immersion took another hit, whenever I had ability points to spend. I would propose an alternative system. Remove the ability tree completely, and automatically assign me new abilities whenever I reach a level. This will instead make me wonder what kind of unknown benefits lies for me in the future, without having me to step outside of the game to select abilities. Lastly, I find it annoying that I can’t reenter my completed game and explore the rest of the world. When you have completed the main story line, you are locked out of your saved game and you will simply have to start over if you wish to explore the rest of the world. There are no warnings or info about this, and it came to be as a disappointing surprise, when I didn’t have the ability to return. I really wanted to explore, every bit the world have to offer for me, but I don’t got the time on my hands to do an additional playthrough. Your saved games in Ori and the Blind forest. At first I thought it was a nice rewarding receiving a golden portrait of your saved game, but after realising that I were locked out of my saved game, I felt it as a poor retention design choice. I think this covers all my rants about this game. With that said, I am a big fan of Ori and the Blind Forest and it is one of the greatest game I have played for a while. My rant above is simply just an attempt to point out points of improvements among the vast positive reviews. I found my 20€ to be well spend. 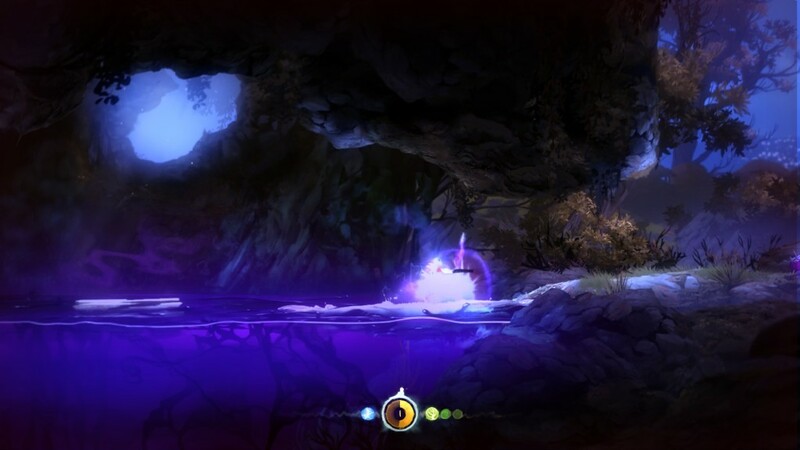 If you are a fan of Rayman Legends, Ori and the Blind Forest will properly also be a game which you enjoy.